These nose studs are made out of Surgical Steel that has been coated with a Black PVD coating, they are 0.8mm (20 gauge) in thickness and have an L shaped bend for easy fitting. 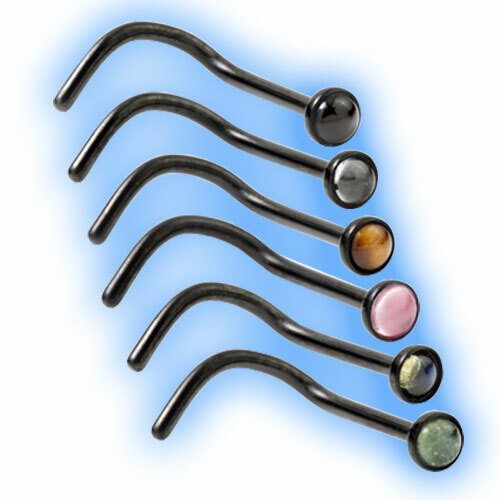 They are available in a choice of cabochon stones - black onyx, crystal, tigers eye, adventurine, labrodite or rose quartz all of which look stunning against the black nose wire. The price is for one nose stud with the stone of your choice.